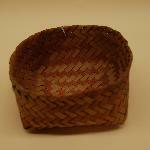 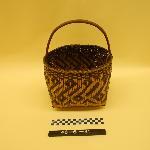 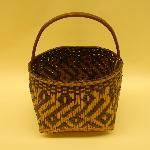 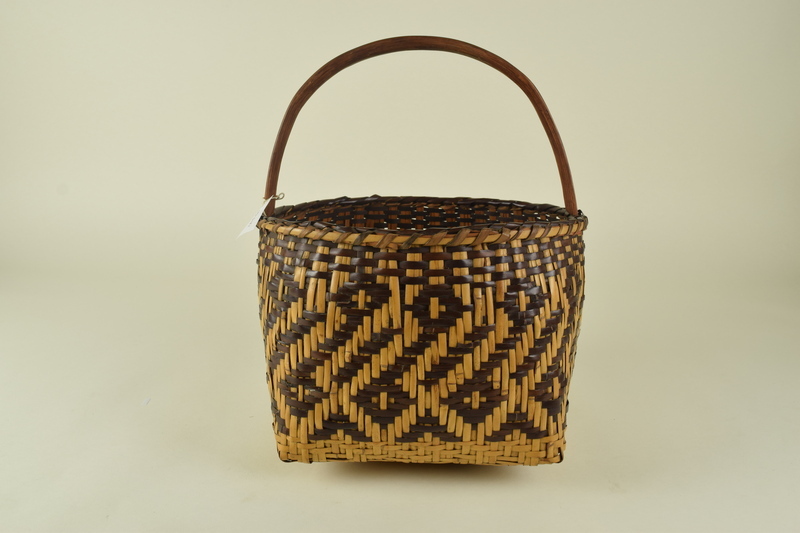 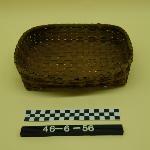 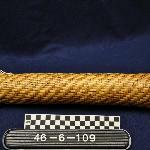 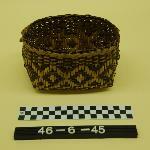 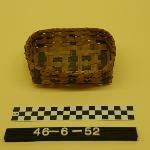 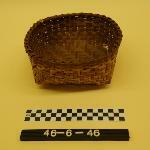 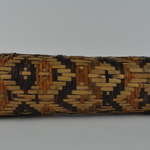 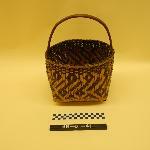 Split cane, single weave square stroage basket with handle. 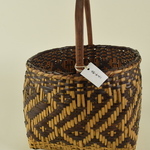 Color is dark brown and natural in stepped design of unusual pattern. 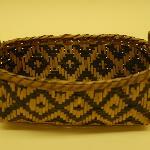 Natives dyes.